Fun on wheels everyone loves a go-kart. 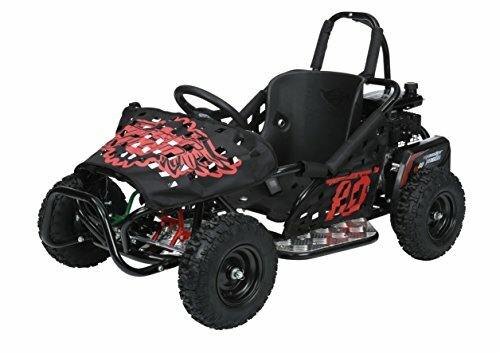 Our MM-k80 Youth go-kart is fun, yet We designed it with safety in mind. Colors help riders Learn to drive: green on the gas pedal means go, red on the brake means Stop. The low center of Gravity makes the mm-k80 a great way for kids to get started learning to steer and drive. A large cockpit allows room to grow. The adjustable seat is ready to fit All sizes of young drivers, and the reliable 79.5Cc engine is ready to take them to the end of the trail and back. If you have any questions about this product by Monster Moto, contact us by completing and submitting the form below. If you are looking for a specif part number, please include it with your message.